Kris has been a top producer in Northeast Wisconsin for the past 8 years, she is proud to be recognized with the Ruby-Circle Platinum for her extraordinary production from the 2017. Kris is the agent that cares about you and understands the countless details involved in completing your real estate transactions. She understands how the process can be sometimes confusing and overwhelming so she communicates with knowledge and confidence to put your mind at ease and guide you through the process and make your real estate transaction an enjoyable one. 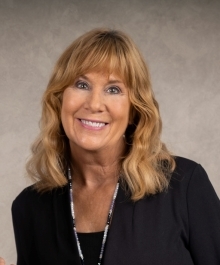 She understands the current market conditions at every level and prides herself on providing excellent service to each and every client, a multi-million dollar agent for 3 straight years, even in our difficult economy! You will always be first and foremost with Kris when you choose her to market your home. Kris promises you RESULTS! You will know that she is there for you with weekly contact. Her negotiating skills are knowledgeable and skilled, allowing you to get the highest price for your home or if you are buying a new home she can negotiate for the right price. Know that when you first choose Kris, she will take the time to sit with you so together you can come up with a solid real estate plan and then she will tailor all services to your specific needs and goals. Her marketing program for your home will bring to you the power of the internet, social media, email and texting for exceptional results. She will provide services that are beyond your expectations. For you convenience Kris works in the entire Fox Valley including, Winneconne, Poygan , Vinland, Town of Clayton, Omro, Butte des Morts, Winchester, Oshkosh, Neenah, Menasha, Appleton, Grand Chute & Little Chute.